How to Integrate Customer Data using Woveon? 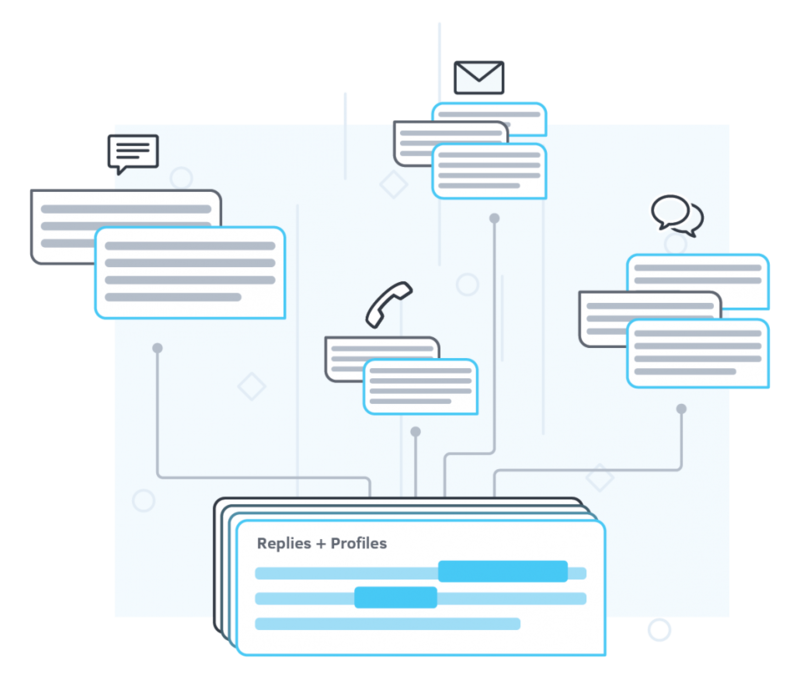 Woveon conversational technology pulls together conversations from CRM, support, sales systems and multi-channel communication about the customers. Result: Entire organization customer analytics to identify new sales and opportunities, and prioritize the most profitable customers. Woveon integrates multi-channel behavioral, interaction and conversation data from CRM, sales, support systems and communication channels including SMS, telephones, emails and other integrated systems. 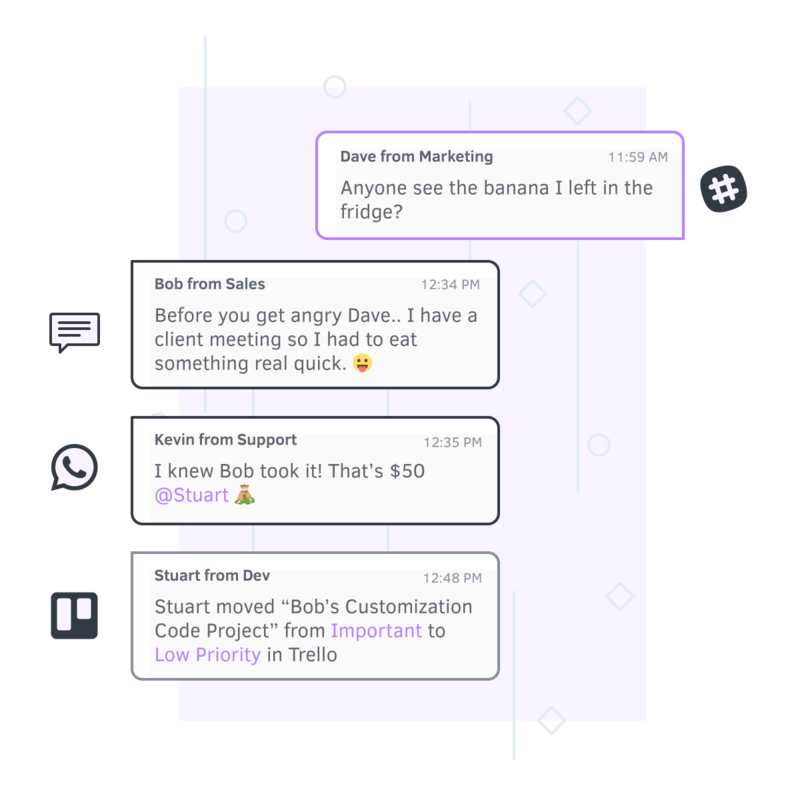 Teams no longer need to spend hours connecting past customer conversations and transactions from different channels. 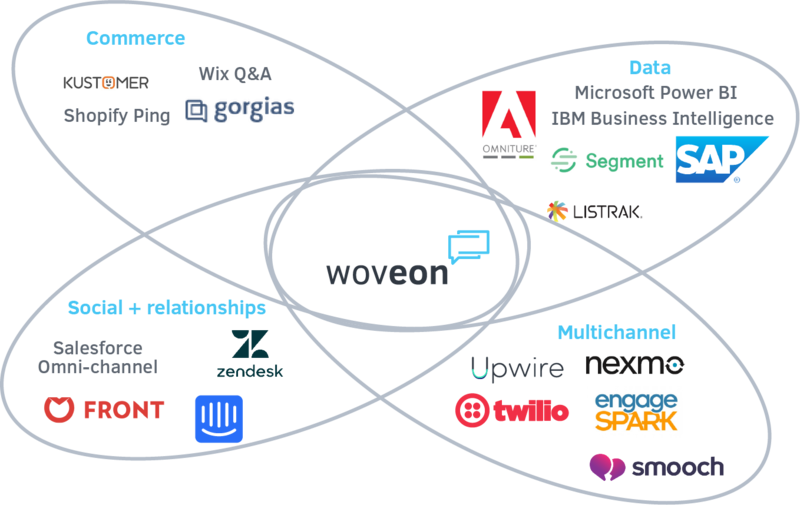 Using Woveon, millions of customer conversations are stitched together. We connect all the relevant conversations that will help your teams solve that problem faster and reduce the time to discover the right information about the customer at the right time. Our unique Woveon API future proofs your organization with new communication channels. Our next generation enterprise release with even more powerful multichannel customer conversation management software.